The VERSO Compact from Videotec ensures total protection against all environmental conditions for standard cameras and small compact zoom lenses. Its side opening provides easy and fast access to camera and lens and easy servicing. Its high resistant technopolymer polycarbonate body guarantees high impact resistance, IP66 standard high weather protection and shields your camera from UV rays. The VERSO Compact offers better compatibility with various mountings such as wall or top mount, standard or cable management bracket and pan/tilt heads. Availability of a wide range of accessories like sunshield, heater kit, fan and more further enhances its overall performance. 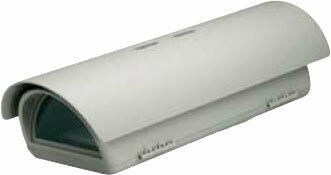 The Videotec HPV36K0A000B is also known as VTC-HPV36K0A000B	.